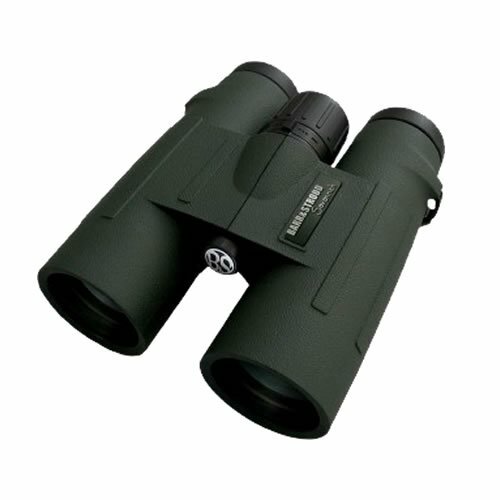 The Barr & Stroud Savannah 10x42 binocular suits those with a steady hand and a need for greater power. If you need to get that bit closer to the action and the drop in light transmission is not important, you may only use your binoculars during daylight hours, then the 10x42 is a good choice. It's no bigger than the less powerful 8x so it is equally easy to carry yet it packs that extra magnification that might make all the difference. The Barr and Stroud Savannah 10x42 is supplied with carrying case, rain guards, tethered lens caps, deluxe strap and lens cleaning cloth.